The Dirty Truth About Vermicomposting. Composting with worms (a.k.a. vermicomposting) is the proverbial win-win situation. It gives you a convenient way to dispose of organic waste, such as vegetable peelings. It saves space in the county landfill, which is good for the environment. It gives worms a happy home and all the free “eats” that they could want. For those that have gardens or even potted plants, homegrown compost is a great way to feed and nurture plants. Vermiculture, which some advocates have dubbed “the organic garbage disposal,” recycles food waste into a rich, dark, good-for-your-garden soil conditioner. It’s such great stuff that Planet Natural sells a variety of organic compost that ranges in price from $5.95 to $13.95 as well as potting soil that contains compost. And despite its reputation, worm composting doesn’t need to be a smelly endeavor. If you take care to set things up correctly, your compost bin shouldn’t be stinky. Vermicomposting is being seen more and more as a way to help our environment and reduce waste. The City of Oakland in California has a recycling program expressly for food waste. (It supplies the bin and you supply the organic garbage.) The City of Vancouver in British Columbia, Canada, supplies residents with worm bins and even has a hot-line you can call to find where to buy worms (see Urban Agriculture Notes). Spokane, Washington posts information on how to get started composting with worms to encourage residents to try this environmentally friendly way of disposing of garbage. A quick, odorless and space efficient way to recycle scraps and peelings -- year round! With the right composting equipment turning table scraps into valuable vermicompost is a cinch! Planet Natural supplies everything you need to get started: worms, a container and “bedding.” Plus books that tell you just how to do it. Let’s compost! Don’t go out and dig out night crawlers that live in the soil by your home to populate your compost bin. Night crawlers need to tunnel through dirt to eat and survive and they can’t live on vegetable waste. Instead, you need redworms — Eisenia foetida (also known as red wiggler, brandling or manure worm) and Lumbricus rubellus (manure worm). You can buy worms from sites like PlanetNatural.com. (We sell 1 pound of red worms — roughly 1,000 — for $35.50, shipping included.) If you’ve got the time and the access, you can also find a horse stable and recover worms from horse manure or ask a farmer to ransack his manure pile for worms. Mary Appelhof, author of “Worms Eat My Garbage” recommends two pounds of worms — about 2,000 wigglers — for every pound per day of food waste. To figure out how much food waste your household generates, monitor it for a week and divide by seven. 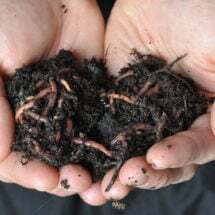 Note: Some vermiculture experts advise starting out with a smaller amount of worms, which isn’t a bad idea if you are relatively new to all of this. Of course, you’ll have to reduce the amount of food scraps you put in the bin, until the population increases. When populating your bin with worms, keep in mind that worms, provided you give them adequate food and a good home, can double their populations every 90 days. 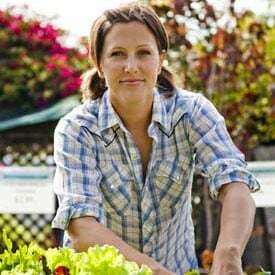 It’s probably best to start out with slightly fewer worms than you need and just expect that your worm population will increase to fill your demand for processing organic waste. You’ll also need a container for the worms. 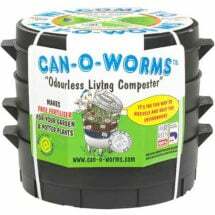 We have a variety of worm bins on sale here including the 4-Tray Worm Farm and the Can O Worms. If you prefer, you can also build your own worm bin. Size does matter when it comes to compost. You’ll want a container with depth of between eight and 12 inches. Wood is a great building material. If you don’t feel like building from scratch, you can even adapt a “Rubbermaid®” type tub and turn it into a composting bin. 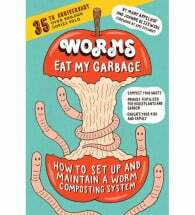 Books such as “Worms Eat My Garbage” give details on how to build your own compost bin. Just remember that worms like a dark, moist (not wet) environment and they hate light. Any container should be opaque. Red wigglers (Eisenia foetida) convert food waste into nutrient-rich castings. 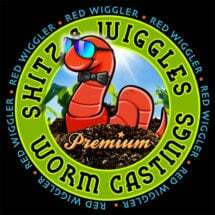 As they feed, Red Wigglers (Eisenia foetida) swallow great quantities of organic material, digest it, extract its food value and expel the residue as worm castings which are very rich in nitrogen, phosphorus, potassium and many micronutrients. FREE SHIPPING! Bins can be located anywhere from under the kitchen sink to outside or in your garage. One important consideration is temperature. Ideally a worm compost bin should be located in areas where the temperatures are between 40 to 80˚F. Red worms generally prefer temperatures in the 55 to 77 degree range. If you live in an area that has harsh winters, you’ll need to move your bin inside during the winter months or compost on a seasonal basis. Another consideration: worms are like people in that they do not like a lot of noise or vibrations. Keep them away from high traffic areas. First you’ll want to build a home for your worms and one which will make them happy and prolific. You’ll need bedding that will fill the bin from one-third to one-half full. To create bedding soak a large quantity of shredded newspapers or cardboard. Worms want an environment that is about 75 percent water. Newspapers should only take a few minutes to take up enough water to make proper bedding. Allow cardboard, such as toilet paper rolls and tissue boxes, to soak overnight. Don’t use garden soil or mix fresh cow, horse or chicken manure into the bedding. 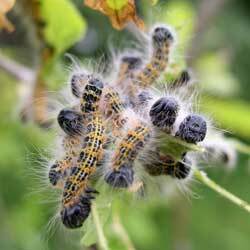 These emit gases and will raise the temperature of your compost bin. You could end up “cooking” your worms to death. Once the bedding material has been soaked, wring it out until it is moist, but not dripping. 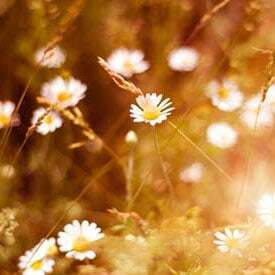 Place it in the bin along with something gritty such as a bit of soil, fine sand, leaves, cornstarch, sawdust or ground egg shells. (Worms don’t have teeth so they need something gritty to help them grind up the paper and food.) Once your bin is up and running it will be self-sufficient and you won’t need to add additional grit until you harvest the worm castings and clean the bin. To make your worms feel at home, dig down until about the middle of the bedding and place your worms there. Don’t just put them on top. Then place the lid on the bin and keep it at a moderate temperature. Leave them alone for about a week to settle in. They will feed off the bedding. After about a week, start feeding your worms food scraps such as fruit and vegetable peels, pulverized egg shells, tea bags and coffee grounds. Avoid meat scraps, bones, fish, leftover dairy products and oily foods since these will make your compost pile smell as well as attract flies and rodents. Experts are divided on whether pasta and grains should be tossed into the compost or thrown away in regular garbage. Your best bet is to experiment and let your worms tell you what they’ll eat or won’t eat. Of course, there are certain things that worms won’t eat or shouldn’t eat. Do not dispose of glass, plastic or aluminum foil in your compost. Although paper can be used as bedding, don’t include paper with colored printing on it. Many colored inks are toxic to worms. Also avoid rubber bands and sponges. It’s best to feed worms once a week in small amounts. If you feed them more than they can process you will end up with a stinking compost bin as the garbage literally backs up. An eco-friendly peat alternative! ProCoir holds 8-9 times its weight in water. An eco-friendly peat alternative! Made from compressed coconut fiber, ProCoir Coco Coir Bricks exhibits a very good balance of wetting and aeration and a resistance to bacteria and fungus growth. 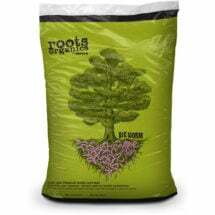 Use as a replacement for soil or as a soil conditioner… and worms love it! If they are eating too slowly, chop up vegetable matter, which is easier for them to eat and gives new meaning to the term “fast food.” If the chopping doesn’t help enough, reduce the amount of organic matter you are feeding them. When you feed your worms, check and see how things are going. If the bedding is wet, give some additional paper bedding to soak up the excess. (Remember that the bedding should be moist, not dripping.) If the bedding is too dry, use water from a spray bottle to moisten it. Once your compost bin is up and running, it requires little maintenance until little or no original bedding is visible and the contents of the bin are reduced in bulk and mainly consist of worm compost, which is brown and “earthy” looking. Once your bin has reached that point, it’s time to harvest the worm castings and give your worms new bedding. Castings can be harvested anywhere from two and a half months to every six months, depending on how many worms you have and how much food you’re giving them. There are several harvesting methods. For those with the time and patience or little kids, you dump the bin’s contents onto a large plastic sheet and then manually separate the worms from the compost. Children usually love helping out with harvesting worm compost. Remember that your helpers as well as yourself should wear gloves. Once all the worm casings are removed, keep aside some of the compost to mix in with the new bedding and then the cycle starts all over again. A more common way to harvest is to move everything – worms, castings, bedding, food – to one side of the bin. Pick out partially decomposed materials and push to the other side. Place some food on top of the partially decomposed materials. Replace the lid and leave it alone for a couple weeks. During that time, the worms should migrate over to the new food. Once they’ve gone to the other side, put on a pair of gloves and harvest the castings. Make sure you don’t remove any worms in the process. Then give the worms new bedding mixed in with some residual compost. Compost is useful whether you have an apartment adorned with potted plants or you have a backyard garden. Use compost for building soil and enriching potting mixes. It also makes great mulch. It’s relatively hassle-free and you’re not only helping your plants, but the environment as well. Captures 3x more than competing brands -- without the toxic chemicals! 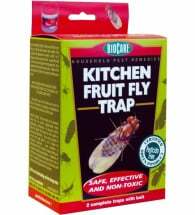 Eliminate troublesome fruit flies with the BioCare® Fruit Fly Trap. Includes a natural attractant that entices these flying pests into the decorative container where they become trapped and drown. Safe, effective and 100% pesticide free. Solution: Avoid the problem in the first place by burying food waste and not overloading your worms with too much food. You can also try keeping a plastic sheet or a piece of old carpet or sacking on the surface of the compost bin. If flies persist, consider moving the compost bin to a location where the files will not be a problem. Also think about recruiting a few friendly spiders to take up residence near the compost bin. Problem: Strong, unpleasant odors from the compost bin. Solutions: Most likely the odor is from rotting food because you are giving your worms too much to eat and food is sitting around too much so it rots. The solution is to stop adding food waste until the worms have broken down what they have. (Also avoid meat and other greasy food which can cause odor problems.) If odor becomes a problem, also try stirring the contents of your compost pile. That will allow more air in, which can also reduce odors. At the same time you are exploring those solutions also check your bin’s drainage holes to ensure they are not blocked and drill more holes if necessary. Worms will drown if the bin’s contents are too wet. Problem: Worms are crawling out of the bedding and onto the sides or lid of the bin. Solution: The bedding may be too acidic which is forcing the worms to migrate. Bedding can become too acidic if you add too much acidic food scraps such as orange peels. Try reducing the amount of acidic organic matter that you’re putting into the bin. Savvy growers know redworm castings to be rich in nutrients and beneficial microbes. 100% Pure. You need only use a small amount around vegetables and flowers. 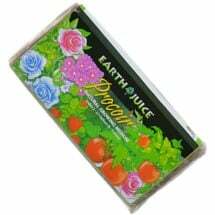 Contains NO chemicals, NO fillers and NO tricks — just natural goodness! This easy to read guide has everything you need to know about vermicomposting. The instructions with the Can-O-Worms gives instructions for Worm Fattener which gives quantities in % s. Is this by weight or volume? 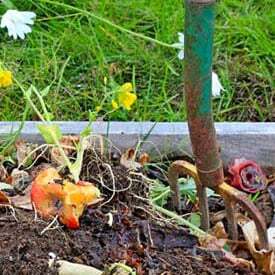 Vermicomposting, or worm composting, allows you to compost your food waste rapidly, while producing high quality compost soil and fertilizing liquid. Best of all, it’s self-contained and nearly odorless. 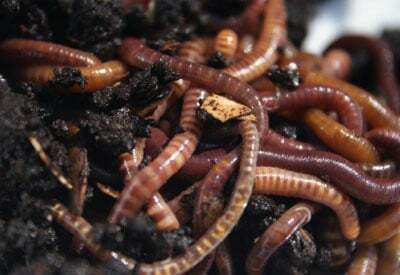 Composting worms (i.e. red wigglers) are a surface-dwelling species of worm. They enjoy eating thier food from underneath it. That is why when you feed your worms, you’ll tuck your food scraps just underneath the surface of their bedding. Then your worms will come up from below it, and feast to their hearts content. I think that worms are kind of important because they eat up our leftover crumbs so that there’s not so many things in the landfill which is pretty good for the environment. I am passionate about Red Wigglers! Too many benefits to list. I’m considering the idea of worm composting but am concerned about winter months.I live in WV and recently the weather has been very cold. I don’t want to spend a lot of money every year buying and seting up the worm factory. What do you think? I have a VERY small yard, so I have set up my worm bin in my house. I keep it on the bottom of my microwave cart. I used a small plastic box with a lid, about the size of a shoe box. I purchased a container of red wigglers sold for fishing bait. I drilled a bunch of holes in the lid and hot glued some old window screen inside the bottom of the lid, so my worms couldn’t get out and flies and fruit flies couldn’t get in. Takes up a very small amount of space and cost less than $5. Jessica, can you share photos of your shoebox bin. I think this would be the perfect size for me to try as a starter. thanks! HI JESSICA, I’m with Cassandra & wonder if you could also provide me with a) a photograph of your simple worm farm, or b) a sketch of same. I’ve only just ‘stumbled’ on this web page. I too have a small yard with little space to store a worm farm. Any help you can give with my request would be appreciated. Could you also, please let me how your DIY Worm Farm is progressing? Successful? Unsuccessful? OK? Try making sure they are under shelter (eg overhanging eave) and covering the box with a couple of layers of carpet. And maybe they need to come indoors if it is snowing? I kept a worm bin in Atlanta, inside, under the sink, for four years. It didn’t smell and didn’t attract flies. I only dismantled it because I was going traveling for a few years. Now that I’ve got a home again, I’m setting up another and just ordered worms. I use a discarded Rubbermaid tub, but I don’t actually need anything quite so deep. Excited to be composting with worms again. Worm composting was the best decision for our family. As the biggest part of our food are vegetables most of the kitchen waste are organic products, so worms were a very good idea. Plus my sons love playing with worms and observe composting process from the first row. Greets! Normal composting is easier all u have to do is make a wood bin dig up some dirt and put onion peels, coffee grounds, leftover vegetable scraps. NO MEAT! I was interested first because I’d like to set up a compost for this coming years garden, but also because I’d heard about this in connection with having a rabbit and having the worms under the cage. But in the article it says not to add manure… which is it? They mean not to add horse, or cow, manure (I’m not sure about goat). They’re too strong and will “burn” the worms, they need to age at least a year before they can be used safely in the garden. Rabbit droppings have already been digested twice and can be used directly on the garden, or given to worms to make even better fertilizer. Have any local worm farms bought or built a worm harvester? I am having a problem. My first layer is full and have added a second one. I cannot get most of the worms to migrate to the next bin. I have added compost bedding food and a large handful of worms. Also I am seeing so many tiny beginnings of new worms, what happens when you can’t pick them all out? I am now trying this: Putting the first layer on top using light to make the worms migrate down to the new layer. How long can I leave the lid off with the light shining through? Let me know if you have any questions on this. Making sure I understand. You have three bins? A drainage bin at base, a middle bin with worms and a third on top for them to migrate to when done? In total, I actually have 4 bins right now, since I bought 1000 worms from uncle jims worm farm. The bottom bin is used for drainage, and I added a plug to drain out the “worm tea” once in a while. There are no worms in this bin. The next bin up is for my oldest compost. I started with just these two. Once the food began to get scarce, I added a second bin on top of that, with a few starter worms to get it going. Once the food dries up, the worms will migrate up to the new food source. After about two weeks, pull the top bin off to access the middle bin, and remove the entire bin, replacing the top one. Most of the worms should have migrated out. At that point, it’s a matter of spreading out the compost and removing any worms that are remaining, plus any food source (i.e. any scrap paper or uneaten food) and placing that back in the other bin. Your compost is ready to go. The use of cat litter bins was brilliant! I’m going to try it, thank you for the great idea. Red Wigglers are surface feeders… usually they dwell 6” below the surface… put the food on top and once they’ve exhausted their present supply they will move UP to the new source… just be patient… if they haven’t migrated that means there are still food left. I’ve already started a composter which is full to the brim of garden cuttings and food waste in biodegradeable bags. Can I now add worms to this mix in order to get a compost going? Assuming the worms can eat the bags, I don’t see why you couldn’t, though I would consider moistening the mixture first, and maybe putting some strategic holes in the bags, just for good measure. Like yard waste, if your garden cuttings are too green the worms won’t eat them right away. They might need to brown a bit first. Never use fresh yard clippings or fresh leaves. If you use leaves, let them brown first and crumble them up. I used these as a bed for my first bin last year. Is it possible to place worms in my garden area and then cover them with green matter (mostly leaves) and then cover that with newspaper? I am thinking that they will break down the organic matter over the fall/winter months. I live in CA and my winters are pretty mild. I’ve always been disgusted by worms but it’s striking how symbiotic the organic world can be when it comes to dealing with waste in an environmentally conscious way. I was told to NOT use oak leaves because they are toxic to the worms. Has anyone else heard this? I’m new to worm composting and the same person told me to NOT use a plastic bin (of course he was will to build me a wood one for $750). My bin is a $10 plastic 33 gal garbage can that I drilled about 150 1/4″ holes in the sides and bottom. Then I put one layer of landscape weed fabric in the bottom, added aged manure, wet it down, waited an hour, added the worms (approximately 1 1/2 lbs) and added more manure on the top. I put the lid on the garbage can and waited a day and then buried some scraps. I only found one worm when I buried the scraps, so I hope they had gone to the bottom . . . will check the scraps today. Can I add my guinea pig bedding, which is shredded newsprint paper without ink and guinea pig poop? I have had no problem using oak leaves as a base starter for the bin but I do shred them first. They keep the bin material a little more coarse but this aids air circulation. No complaints from the worms. They are as happy as… well, happy as happy worms can be! The Live Oak variety of trees, common in the south, are very acidic. Their leaves contain high acid content and are great for mulching around azaleas but probably would be a bad choice for worm composting. I have had my worms for around 2 years they are in a large bin and I don’t know how to remove the worms so I can harvest all the castings and I want to keep casualties of the harvest down to a minimum, can anyone tell me how to accomplish this? Please see the Cleaning and Harvesting section under Vermicomposting on our COMPOSTERconnection site. We list several techniques for separating out your worms from the bedding. Seriously, you can just dump your food scraps in a shallow hole in your back yard, cover with soil and continue to do that indefinitely. The worms will come up from below and aerate the hell out of your pile. I held off on composting for a while because I was trying to decide on a design for a bin and I thought I needed lots of supplies that I didn’t want to buy. Then I just decided to start doing it. I keep a few days worth of scraps in a 5-gal bucket (covered) on the back porch until I’m ready to dump it out in my pile in the back of the yard. When I dump the waste into the pile, I dig a “well” in the center of the pile pretty deep, and dump the fresh/ripe waste into the well. Then I cover that all up with existing compost. I try to mix the pile up every week. My compost is loaded with regular worms from the ground as well as roly polies and centipedes. We would never think twice about buying worms or a fancy container. And the compost works like a boss. We put our morning coffee grounds in the pile each day, which supposedly attracts the worms. But seriously, save your money and your time, just put waste and dirt together and cover. It’ll get there. If you live in the hot, wet south like me (NC) it will get there even faster. Good luck, and sorry to take a dump on the business model of those that are trying to sell special worms and containers to break down your food scraps. Whit, I would think that your kitchen scraps would be great snacks for critters. Do you not have problems with wildlife digging up the scraps, and making a mess, of your yard? Yes Whit, I have the same question if you have a second to share! I want to start composting with worms, but I just moved to Southern Texas. Not a problem with the cold winters, but my problem is with the hot summers. I like your idea. Our new home is on a lake and the worms will be good for fishing…but since it is a new subdivision, I thought about buying some to start. My question to you is… do you have trouble in your hot summers?? bringing the worm bins inside is not an option. I too deal with really hot 100 % summers and started a worm compost bin early this summer. I had some die off, but then found that I could keep them alive on those really hot days if the bin was in the shade. In the morning I would line top with newspaper and place a couple ice cubes on top by random to create an air condition. I use plastic hopper bin from home depot with somewhat fitted lid. I only put peat moss and shredded newspaper to start. I fed them normal until it got hot. then only shredded newspaper and fruit waste because they do slow down. I really thought they would all die. However, they look great now and I need another bin already. I too use wet newspaper and ice cubes but I put it in one corner of the composter on days when the temp gets over 90. I cut back on the amount of food as I find that they feed at night and slow down during the hot day..
Will you tell me your process from A-Z. I really want to start this process, but have just started trying. Started a vermicomposting unit. Might take a minute. Great idea for people who don’t have to worry about wildlife. We live rural, in the middle of dense bush. We tried this method for a little while, but it only took about a week for the black bears to come out of the woods, and dig at the hole for a quick snack. Probably best that it didn’t work, because we wouldn’t have been able to compost in the winter anyways (the ground freezes for 5 moths of the year up here). In some living conditions keeping your compost indoors is the only way to make composting happen. Do you have to mix in new bedding like leaves or cardboard or just put it on top? Thanks this really helped with my science project. I’ve been using a kids plastic $ 4,00 pool. And worms from my yard and I’m not only using it to cut down on waste but I don’t have to buy worms for fishing. Hi Tora, I would love to know if you put much food scraps in yours, and if you live in a neighborhood where critters may try to dig them up… if you have a second to share! We would greatly appreciate your time and input! This is so beneficial to my science fair project! Thanks! I’m starting a Worm Farm at home for my Garden. What do I have at home that I can use for “Grit”. I know Egg Shells work, but I just don’t eat a lot of Eggs. Has anyone ever had success starting on a small scale by using wide bottles versus bins? My question is: when using a growing tower, say a 55 gal plastic drum with worms and compost in the center. If I keep it in the shade living in central Florida will it be cool enough for the worms? We get 90 degree weather often. Question- Do you still throw away extra food? I really want to try this but I think it will be somewhat pointless in that I have more scrap than the worms will eat, plus I don’t really have much to do with the casting after the fact. 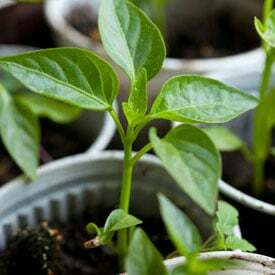 The worm tea is easy enough to use on plants, but what do I do with the castings after I’ve gotten around to adding it to my plants? I guess that’s two questions. 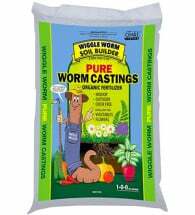 If you find that you can’t use all of your worm castings offer them to gardening groups! They’ll love you for it and maybe even supply you with plants as a trade! I live in Texas (North Texas – DFW). The garage was a spot I was thinking off – however it south facing and gets texas heat and then in winter can get cold. Wondering that is not a good spot. I can never convince my family to have it inside of the house. So has to be the garden and/ or the garage. WIll it work? I am planning to get a room thermometer to see what the temps are. Is there any way I can keep them cool and or warm (depending on what they need) without bringing them in – Like a carpet on top in Winter and what could I do in summer? I live in Colorado. Right now I have two bins in my kitchen area and one in the garage. How cold can the worms tolerate in the garage? Also, what is the minimum depth of material the worms need to live in? What about putting Red Wigglers in an outside composting pile? I put some in one pile and couldn’t find any just the next day. Where did they go and why? A couple earthworms but no Red Wigglers. What about in the winter in the compost piles outside. Do I dare do that? If the ground freezes, which it can do here down a few inches, what happens to the worms? I have been using the worm tea as fertilizer, but not too sure what dilution to use. Please help! Hi I’ve just cut back my Christmas cactus and have a lot of thick pieces left. Will red wigglers eat cactus? I want to start worm composting. I live alone and have little garbage but tons of paper and lots of gardens. Can they eat paper with black ink? Is that harmful to them. Is it Ok to feed them mostly paper with some fruit and vegetable peelings, tea bags or coffee grounds? I just started my worm bin a week ago so I just have one on top over a catchment bin. Some of the worms like to crawl down into the bottom bin where there is no compost. I’m worried they will die down there so I’m catching them and putting them back in the top. It is covered so it is plenty dark. Do I not have enough bedding material? Should I put some sort of ladder in the bottom bin so they can crawl back up? I had my first ever die-off. I discovered a bunch of black widows in the hollows of the legs of my worm bins. Do black widows eat compost worms? Thanks! Hi, I’m wondering what will happen if I accidentally let a few red worms out into my vegetable beds. Will they eat everything in the bed? Seems they would. Could shed pet hair be used in a composter for the base? Any organics that don’t go in the wormbin can go in a regular compost pile or even an indoor compost. There is absolutely no reason to send organic material to a landfill.